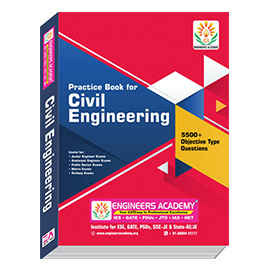 Engineers Academy Publications (EA Publications) is a part of Engineers Academy. 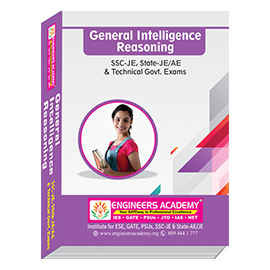 Engineers Academy leading institute in the field of engineering with the various career oriented govt examinations like ESE/IES, GATE, SSC JE, RRB and PSUs like (BHEL, NTPC, PGCIL, ONGC, GAIL, IOCL, BSNL/JTO, BSNL/MT, DRDO, ISRO,DVC, DMRC, MTNL, SAIL, BEL, AAI, BARC etc). Engineers Academy is committed to assure learning experience that will assist our students to use their greatest potential to archive success in all the career oriented competitive examinations. Engineers Academy is one stop destination for all career related needs of students. Engineers Academy also provide Counseling sessions to select the careers , which better suits the caliber, aptitude, reasoning courses & General studies courses etc. Our R & D cell has developed a 'full proof' Methodology to prepare our students for ESE/IES, GATE, SSC JE, RRB and PSUs exam.It builds up the students knowledge, confidence, mental & emotional Stability. Once a student has enrolled for our coaching courses he needs no external help. 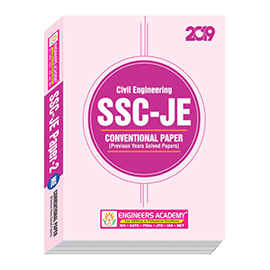 If you are looking for GATE, ESE/IES, RRB, PSUs, SSC JE, Junior Engineer (JE), UPSSSC-JE, WRD, DMRC, PHED, PWD, RSEB, RPSC, Diploma, DDA, SDO, UPPCL, JAL Nigam, LMRC Coaching than presently we have 14 centers in India including at Jaipur (Gopalpura, Pratap Nagar, Kukas), Patna, Allahabad, Delhi, Kanpur, Lucknow, Ajmer, Kota, Bhilwara, Jodhpur, Jalandhar, Patiala, Chandigarh, Ludhiana and Phagwara (LPU).